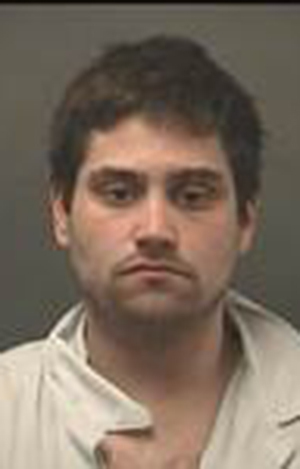 A North Manchester man plead guilty to felony child molesting on Monday, May 8. Brandon P. Knutson, 19, was arrested in July 2016 on two counts of felony child molestation following a Wabash County Sheriff’s Department investigation. NORTH MANCHESTER—A North Manchester man is facing felony child molesting and multiple battery charges following a North Manchester Police Department investigation. Andrew M. Tolson, 26, was arrested May 10 and charged with felony child molesting, two counts felony battery and felony domestic battery. A rural Wabash County residence was partially damaged Monday, May 8, after it caught fire in the evening hours, according to Nathan Zinn, Noble Township Fire Department chief. At approximately 5:34 p.m., the Noble Township Fire Department responded to the fire at a residence located at 8652 S. 300 W., according an official report provided by Zinn. Miller’s Merry Manor West kicked off National Nursing Home Week on Saturday, May 13, and will continue its festivities through Friday, May 19. Throughout the week, with is all-American themed, the local nursing home will celebrate its staff and residents and invites the community to join in, according to Debbie Coppernoll, facility administrator. Four Wabash County high school seniors were honored Tuesday afternoon, May 2, at the 28th annual Wabash Kiwanis Club Self-Reliance Awards ceremony. Emmanuel Christian School’s Kennedy Rife, Wabash High School’s Joetta George and Manchester High School’s Tyler McNall and Carlos “C.J.” Cervera were honored for their personal achievements and perseverance through times of trouble. WHS students take 'trip' to D.C.
Members of the Wabash High School junior class, along with a few members of the school’s sophomore class, toured Washington, D.C. earlier this year. 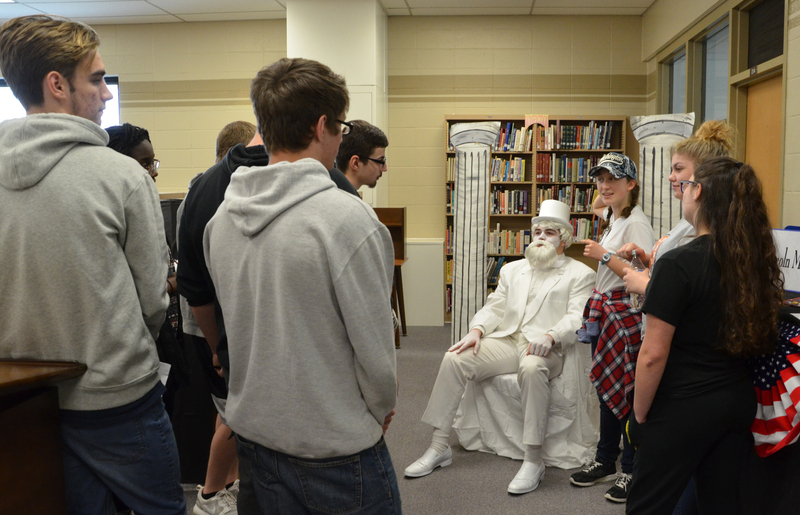 On Wednesday, May 3, the rest of the WHS student body was able to experience the trip, thanks to a living museum, a series of vignettes staged in the school’s library by those who took the trip. The program was part of the school’s Artist Lecture series, according to Jeanie Cooper, a member of the series committee. “We thought, ‘Wouldn’t it be great if the kids did something about their D.C. trip?’” she said. “And the kids were really concerned that if they just did a travelogue, the (other students) wouldn’t really be interested. NORTH MANCHESTER -- Manchester Community Schools Superintendent Dr. William Reichhart has retired after seven years as the head of the district. The retirement was announced Monday morning in an email to teachers and staff, and to the community at large via press release later that day. MCS Business Manager Scott Bumgardner is expected to take over Reichhart’s duties. The retirement is expected to be accepted at the MCS Board of School Trustee’s meeting Tuesday, May 9. NORTH MANCHESTER – On Friday morning, May 5, Brady Burgess resigned from his elected position on the Manchester Community Schools Board. He notified Wabash County Clerk, Elaine Martin, at 11 a.m. and then emailed the other board members and board attorney in the early afternoon telling them his decision.